Yesterday, just in time for the holliday shopping season, Google announced that they now support Rich Snippets for shopping sites. What this means is that in certain cases they will call out particular data items from online catalog sites and display them with special formating in the search results. This is a particular boon to the internet retailer sites which are savvy enough to be able to format their data properly for Google to recognize it — a Rich Snippet graphic treatment can be eye-catching, allowing a search result to stand out from the crowd a bit, and this attention-getting display apparently results in a significantly greater click-through rate (if not even a higher conversion rate). Google is providing a few different methods to structure e-commerce catalog page data in order for the Rich Snippet treatment to get invoked. One of the prime methods is to code the catalog page in hProduct microformat. We’ve been recommending the use of Microformats as a component of overall search optimization for quite a number of years at this point — our clients and those who’ve heard us speak at search marketing conferences will hopefully have benefited from the advanced recommendations from us and will already be ahead of the curve. Additionally, Google is reading the GoodRelations schema which is another good semantic data structure based upon RDFa. 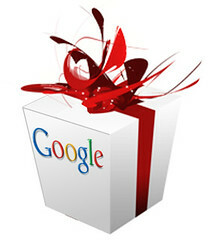 And, sites which are providing Google with Merchant Center feeds may also benefit from the new snippet treatment. In the case of feeds, Google adds the proviso that merchants must begin including the Canonical tag to their product pages so that Google can associate the page with the item in the Merchant Center feeds. If you use the Merchant Center feed option, I’ll add an assumed requirement that’s not stated by Google outright: the URL you specify in the Canonical Tag would have to be an absolute match to the URL found in your Merchant Center feed, or else it’s not going to help Google associate your page with the correct product item in the feed. I see this as problematic for many, though, so let me explain further. Google’s announcement notes that those who have more frequently changing prices probably ought to use the Merchant Center feed option. That would be because when you upload your feed, you can specify how long a time period the feed may be in effect. So, by uploading a new feed, you can change out your prices more rapidly than waiting for Googlebot to circle back around and respider your pages — which is typically a cycle that may happen only ever month to two weeks. But, using the Merchant Center feed route may not be all that optimal, and this is why. Many if not most internet retailers are using special tracking parameters in their feed URLs so that they can associate online sales with different channels, and so that they can differentiate sales from their Shopping Search product feeds versus their organic search engine optimization efforts. If you set your canonical tag to be the same as the URL in your product feeds, then Google will drop what have been your organic URLs out of the search results in favor of the feed URLs — negating your ability to differentiate clickthroughs and sales from each channel within Google. In some cases, your legacy organic URLs will also have been better-established and may have been around longer than your URLs in your product feeds — if that’s the case, you might lose some of the search engine “good will” associated with those pages’ seniority. Now, Google provides a method for you to specify URL parameters that they may encounter in crawling your site which are unimportant for indexing purposes, and you can direct Google to ignore those parameters. However, Google has not said what the effect would be if you set your canonical URL in catalog pages to match your Merchant Center feed, and then asked them to drop the tracking parameter out of the URLs — this could result in the URLs not being allowed to match up for the Rich Snippet treatment, or it could result in the tracking parameter getting dropped out of the Shopping Search results pages losing the tracking ability. So, I’d recommend NOT attempting that combination of settings to solve the dilemma! For those e-commerce sites which desire to have differentiated tracking between the Shopping Search feed versus the organic traffic, I think your best approach would be to use hProduct or GoodRelations format for your organic pages, and not attempt to connect them to your catalog pages — until or if there are more detailed specifications as to how to connect both without losing tracking capabilities. Regardless of this issue, the possibility of getting more attention-grabbing listing treatment should make for a very happy holiday season for e-commerce sites! This entry was posted in Google, Online Marketing, SEO, Shopping Search and tagged catalog optimization, ecommerce e-commers, ecommerce seo, feed optimization, holiday marketing, internet retailer, online catalogs, shopping feeds, shopping search, shopping seo by Chris Silver Smith. Bookmark the permalink.